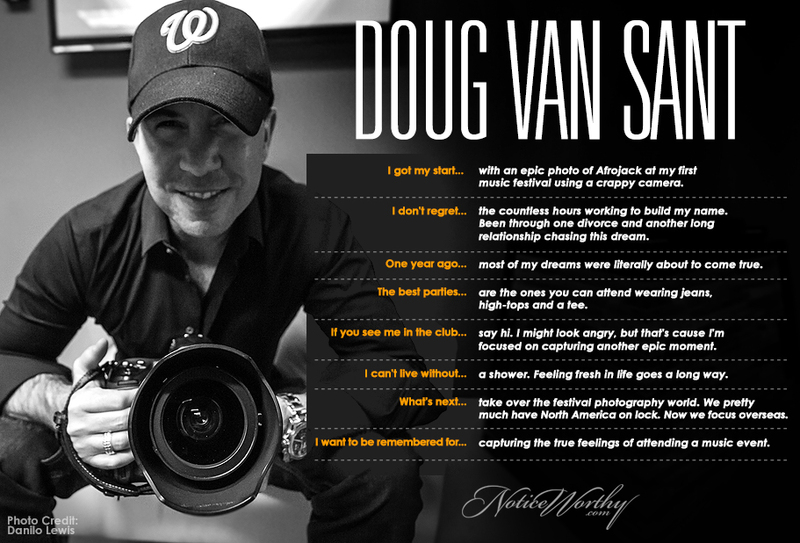 One of the most booked photographers in the dance music industry, Doug Van Sant is documenting the biggest electronic music artists and festivals around the globe. With some of the best shots in the biz, his portfolio is a never-ending drip-feed of adrenaline. Take one look and you’ll hear the beat, taste the sweat, and feel the vibe.